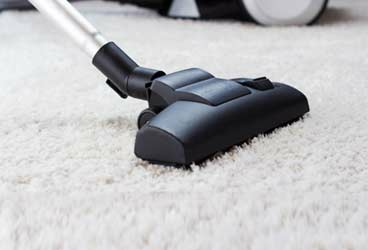 If you’re looking for a cleaner for your Putney home, then we’re here to help. Call us or book online – we’re available 6-days-a-week. Leave the cleaning to the experts. We take on less than 1% if all cleaners who apply to us to cover the Putney area. Enjoy your free time doing something else. And then come back to a beautifully clean and tidy home. How much will a clean cost? No more cash payment. Payment is made automatically the day after your clean has been successfully completed. We take Customer Services extremely seriously. If you have a question or enquiry, then our team is quick to respond. Sit back and leave it to us. We recruit less than 1% of all cleaning applicants so rest assured you’re getting one of the best in the business. Our cleaners are required to work at 90%+ to continue to work on our platform. Only the best of the best for your Putney home. Any problems? We'll fix it. Unfortunately not everything in life goes perfectly, but we firmly believe it’s the way you respond that matters. If you’re not happy with the clean, we’ll reclean your place for free. There’s nothing worse than a cleaner turning up late or not at all. Here at Neat Services, we have one of the lowest no show rates in the industry. All unreliable or unprofessional candidates don’t make it through. When you book a standard cleaning package from us, your cleaner will cover the below items. We also offer additional extras such as ironing or laundry, should you wish to further tailor your service. Putney is well known for its pubs, bars and clubs. With such an exuberant night-life scene it’s no surprise that mess, grime and general untidiness stake a claim in this brilliant borough of London. Fighting against dirt and clutter in Putney is something we take very seriously. With impressive architecture and sprawling green expanses (such as Putney Heath), we feel that it’s very important to keep Putney clean and waste free. With that goal in mind, Neat Services embarks upon a quest to bring cleanliness to those areas in Putney which are lacking. Putney has grown increasingly popular over the recent years with both beautiful Georgian architecture as well as modern apartment blocks such as Putney Plaza and London Square Putney. With its beautiful location along the River Thames, and parklands in Putney Heath, it’s popular with families and young professionals alike. It also has a great vantage point for the world famous Oxford and Cambridge University boat rowing race. Covering the London postcode SW15, Putney is located in south west London with a population of just under 100,000. It’s well serviced by public transport with tube stations East Putney and Putney Bridge, as well as the overground Putney rail station that goes direct to London Waterloo. Think that almost anyone has what it takes to become aNeat Services cleaner? Wrong! Only a fraction of those who apply succeed in becoming a cleaner operating under our brand. Fewer than 1% of all candidates earn the privilege of working for Neat Services. Covered by an incredibly comprehensive £2-million insurance scheme, our cleaners experience perfect peace of mind when working in your home. You can also be confident that in the unlikely event of a breakage, your possessions will be fully covered.Our cleaners speak fluent English so there will be no miscommunication. What you ask for is exactly what you’ll get with Neat Services. We’re proud of our client ratings and reviews. Would you rather schedule your cleaning services or book a one-off blitz ‘on-the-fly’? Either way, Neat Services is perfectly happy to work with you. It makes no difference whether you’re a regular or one-off customer, you’ll receive the same high standard of service either way. 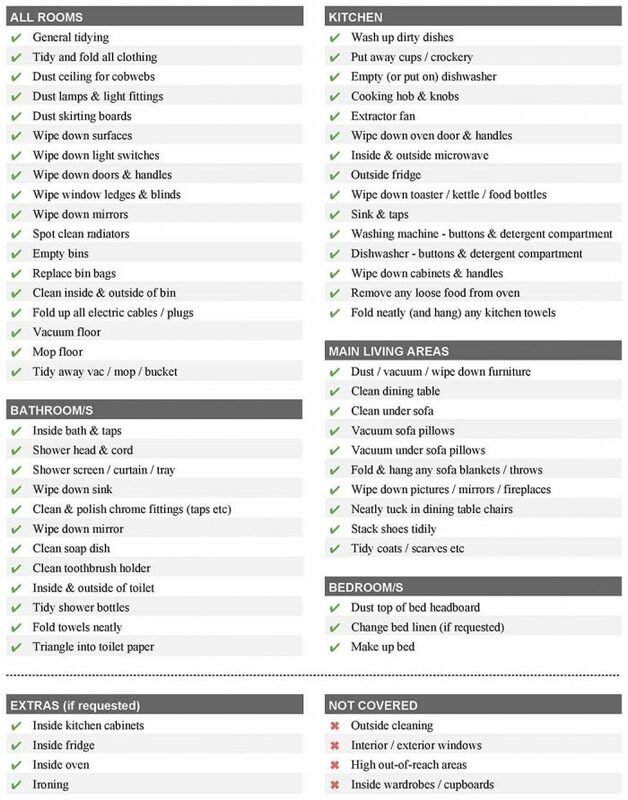 Cleaners work to a 50-point checklist and you can add in extras as well. Our cleaners can work with you to create a prioritised list to work to, so that you can be sure the areas which matter most will receive the correct amount of attention. You can speak with our staff to alter and nail down the number of hours they will spend at your property over any given time-frame. If you’ve been swamped with work or home-life then it’s likely that mess is accumulating around you and there’s just no time to deal with it. When things get too much, it might be time for a Neat Services deep-cleanse. Let our optimistic and experienced cleaners take the reins and sort it all out for you. Having an expert at the help can give you peace of mind and save you precious hours which you’d rather be spending with your friends and loved ones. Say no to time-consuming clutter, say yes toNeat Services! Whether you’re a professional managing your company’s budget or an individual who doesn’t have time to keep on cleaning,Neat Services can help. Give us a call to find out how we could improve your domestic life or work environment. Alina was fantastic. Even my son commented how lovely the flat looked and he doesn't usually notice anything! Very impressed with Neat and in particular Ivana. Her cleaning standard is very high and the office are very easy to deal with. Always great having a clean flat to return home to after a busy day. Would definitely recommend.